Panosteitis (inflammation of the long bone) is a spontaneously occurring lameness that usually occurs in large breed dogs and is commonly known as growing pains. German Shepherds seems to be particularly predisposed to this condition. Due to this, it is possible that the disease may have genetic causes. 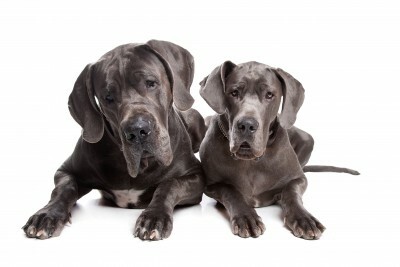 Affected dogs are usually in the 5 to 14 month age range and male dogs are more commonly infected than female dogs. The disease has been reported in dogs as young as 2 months. The lameness tends to occur very suddenly, usually without a history of trauma or excessive exercise. In most cases one or the other front leg is affected first and then the problem tends to move around, making it appear that the lameness is shifting from leg to leg. There are often periods of improvement and worsening of the symptoms during the growth cycle. This makes evaluation of treatment difficult since many dogs will spontaneously recover with or without treatment and then relapse. This condition is self limiting, meaning that it will eventually go away, with or without treatment. Pain control can go a long way towards helping the dog feel more comfortable. Hydrotherapy is renowned for being a gentle, non-weight bearing form of exercise that can help to reduce pain and swelling following. It enables the dog to move freely in the water boosting circulation and reducing stiffness. Dogs appear to get a new lease of life as they realise that they can have a bit of fun and exercise without being in so much pain and it tends to rejuvenate them.